You’ll realize you’re part of something special from the moment you step onto your balcony to capture views of blue waves brushing against soft sands. Each day of your Dreams Resorts & Spas vacation is filled with beachside fun, celebratory meals and epic adventures that converge to create memories of a lifetime. Whether you’re intrigued by the quiet shores of the Dominican Republic, a secluded bay in Mexico’s Riviera Maya or a beautiful retreat in coastal Panama, we’ll share all the ways to make your dreams come true on your next family vacation. Discover where the jungle meets the sea in La Romana on the southeastern coast of the Dominican Republic. After driving past the sugarcane fields of La Romana, you’ll be greeted by sugar-white sands on the Dominican Republic’s southeastern coast. Take time to breathe in the fresh, breezy air from your furnished terrace in the all-new Dreams Dominicus La Romana. Our tip: Let us make your family vacation completely stress-free with Preferred Club amenities that include a dedicated lounge and concierge service. Satisfy every whim with Unlimited-Luxury® that delivers supervised kids’ activities and beachfront fun for the whole family. Your days can be utterly laid back as you lounge by the dedicated family pool; or you can carve out time to test out the best championship golf courses in the Caribbean and regroup in time for dinner — gourmet cuisine is always included along with unlimited top-shelf spirits. Along Mexico’s Caribbean coast, the Riviera Maya embraces biodiverse jungles and well-preserved Mayan ruins. Overlooking a secluded bay just about 15 miles south of Playa del Carmen, your luxurious resort is your entry point to these scenic shores. Let us find the right all-inclusive accommodations for you, whether you need the Family Suite for four or connecting rooms for three generations of travelers. There’s nothing like the sheer joy of watching dolphins frolic in their habitats. You’ll create lifelong memories at Dolphin Discovery Dreams, a dolphinarium located right on your property where you can swim and kayak alongside these gentle creatures. 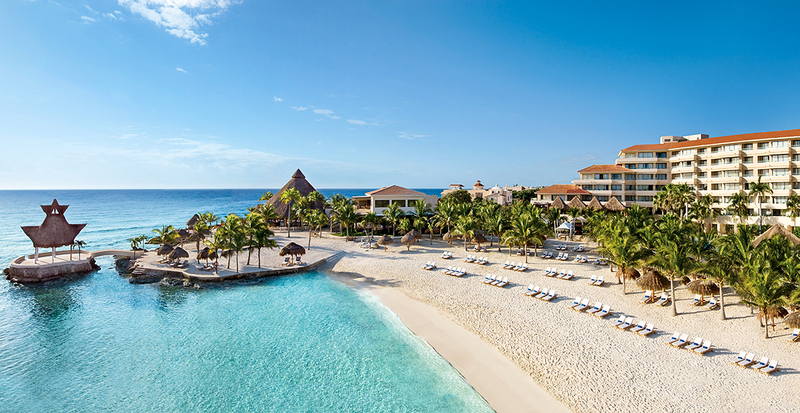 All-inclusive is everything you imagined with Unlimited-Luxury® privileges. From kid-friendly miniature golf to evening entertainment, you can create days that are active or as laid-back as you desire. When you’re ready to venture farther afield, we’ll arrange effortless transportation to cultural treasures like the massive steps of Chichén Itzá and Tulum’s clifftop El Castillo. Visions of Panama come to life as you arrive on the golden sands of Playa Bonita, the closest beach to Panama City. 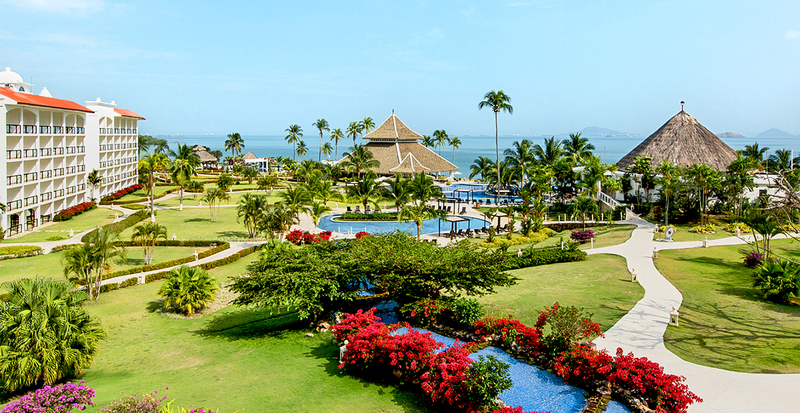 Fall in love with Panama's beaches, rainforest, mountains and city in one effortless vacation. Here, 11 seaside towers ensure that blissful views are an essential part of your stay. Defined Delights™ makes every aspect of your vacation worry-free, with seamless check-in, unlimited gourmet à la carte dining and complimentary Wi-Fi throughout. From easy afternoons relaxing by the infant-friendly pool to beach volleyball and themed parties, you can enjoy complimentary activities every day. Insider tip: Between July and December, you may be able to spot newly hatched sea turtles taking their first steps into the waters. Go beyond the beach and grab the chance to transit the Panama Canal — an engineering marvel connecting the Atlantic Ocean and the Pacific Ocean. We can also arrange an expedition into Gatun Lake — a man-made body of water deep in the jungle where tiny monkeys peer through leaves and tropical birds fly overhead. At the end of each adventurous day, you’ll be welcomed back to your retreat, where gourmet cuisine and your luxurious bed await. Each of these enticing shores can be your home away from home when we reserve the family vacation you’ve always imagined. Find our contact information at the top and bottom of these pages, and reach out to us today to find your Dreams Resorts & Spas escape. With Apple Vacations, we’ll create the beach vacation of your dreams. Call us today!